Today, the Second District Court of Appeal published its decision in City of West Hollywood v. Kihagi, interpreting Ellis Act re-rental constraints and their application in the context of settlement agreements. Infamous landlord Anne Kihagi tested the limits of Ellis Act re-rental constraints, as illustrated in the latest appellate decision chronicling her exploits, City of West Hollywood v. Kihagi. While withdrawing an 8-unit, rent controlled property in West Hollywood from the rental market, Kihagi harassed one of the tenants, prompting the City of West Hollywood to prosecute, leading to a settlement agreement governing the application of the Ellis Act. Despite entering a settlement agreement with potentially more restrictive terms, Kihagi re-rented units after the five-year vacancy control restrictions would have expired under the Ellis Act. The Court of Appeal first noted that landlords’ agreements to waive rights under the Ellis Act are void, citing Embassy LLC v. City of Santa Monica (2010) 185 Cal.App.4th 771, 777, but ultimately determined that Kihagi had re-rented outside of the Ellis Act constraints. The San Francisco Chronicle reports on the Campos enhanced relocation payment “law die[d] quietly” last week. The “law” in question was actually a pair of efforts in 2014 and 2015, introduced by then-Supervisor Campos, which would increase the relocation assistance payment owed to tenants to be displaced by the Ellis Act, from an inflation-adjusted payment (roughly equal to first and last month’s rent and deposit for a replacement apartment) to a 24-month rent subsidy, compensating for the difference between the displaced tenant’s former rent-controlled rate and fair market value. 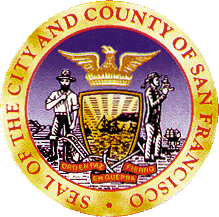 San Francisco tried to institute enhanced mitigation payments again in 2015, with Ordinance 68-15. The second ordinance grafted itself onto the first one (creating some confusion about how and when it was to be applied), capping the payment at $50,000 per unit and providing an administrative review process for landlords who could not afford the increased payment. Again, property owners challenged the ordinance as conflicting with the Ellis Act. The trial court in Coyne v. CCSF found that the changes did not solve the preemption problems, and reached the same conclusion. The First District Court of Appeal later reviewed Jacoby and Coyne together, finding that the enhanced mitigation payment ordinance imposed a “prohibitive price” on a property owner’s ability to exit the residential rental market, in the published opinion Coyne v. City & Cty. of San Francisco (2017) 9 Cal. App. 5th 1215. The City (as well as amicus curiae) sought a depublication order from the Supreme Court of California, urging that Coyne v. CCSF created a new preemption standard and, by referencing Levin, improperly extended exactions takings jurisprudence. However, in a unanimous ruling, the Supreme Court denied the requests to depublish and further declined to review the matter on its own motion. The First District Court of Appeal recently vindicated a landlord’s efforts to terminate a tenancy pursuant to the Ellis Act, where both the Trial Court and the Appellate Division found the notice of termination of tenancy invalid, as the landlord paid only the adults and not the child who occupied the unit. That case, Danger Panda v. Launiu interpreted the term “tenant” in the section of the Rent Ordinance requiring relocation payments to “tenants”, determining that this was a term of art with a specific import: “Construing section 37.2(t) according to its plain language, a tenant is a person who is entitled to occupy a residential unit (1) to the exclusion of all others and (2) pursuant to a written agreement; oral agreement; sub tenancy approved by the landlord; or sufferance.” The Court noted, however, that it was only interpreting that term, not considering whether the Board of Supervisors had the authority to confer a relocation benefit on a child. Supervisor Ronen picked up this cue, introducing Ordinance 123-17, which requires payment to every “Eligible Tenant”, defined as “each authorized occupant of the rental unit regardless of the occupant’s age”. Danger Panda resolved the uncertainty in whether minors were entitled to Ellis Act relocation assistance payments (as they are for other non-fault evictions under the Rent Ordinance). Interestingly, Ordinance 123-17 may resolve further uncertainty about whether a landlord is required to pay persons with whom she has no privity, but who nonetheless occupy a rental unit. Ordinance 123-17 becomes effective July 22, 2017, and the full text is available here. Danger Panda, LLC is the owner of a residential property in the Mission District. Over three years ago, it begin the process of invoking the Ellis Act to terminate all residential tenancies in the building. The Ellis Act is a state law that allows property owners to “go out of the rental business” and evict their tenants, so long as they comply with local eviction control ordinances. San Francisco’s ordinance requires property owners to pay “relocation assistance”, to help displaced tenants with moving expenses and deposits for their new home. WeHoVille.com reports that infamous landlord Anne Kihagi has been ordered to jail for five days for violating an injunction in a case by a former tenant of one of her West Hollywood apartments, who is suing her for violating the Ellis Act. The former tenant’s lawsuit alleges that she violated the Ellis Act by re-renting the property. The Ellis Act – which allows property owners to terminate tenancies in a building by “going out business” – actually does permit re-renting under certain circumstances (like offering the unit to the displaced tenant at the rent-controlled rental rate). However, re-rental within two years may subject the landlord to prosecution by the city and liability to the tenant. Today, Division Five of the First District Court of Appeal affirmed Judge Quidachay of the San Francisco Housing Court, who previously held that San Francisco’s enhanced relocation assistance payment ordinance was not a “reasonable” means of mitigating the impact of tenant displacement by the Ellis Act. In 2015, plaintiffs, including individual landlords and the Small Property Owners of San Francisco, argued in Coyne v. CCSF that an enhanced relocation assistance payment regime was preempted by the Ellis Act. The payment amounted to a subsidy of a tenant’s new rent for two years after displacement under the Ellis Act. 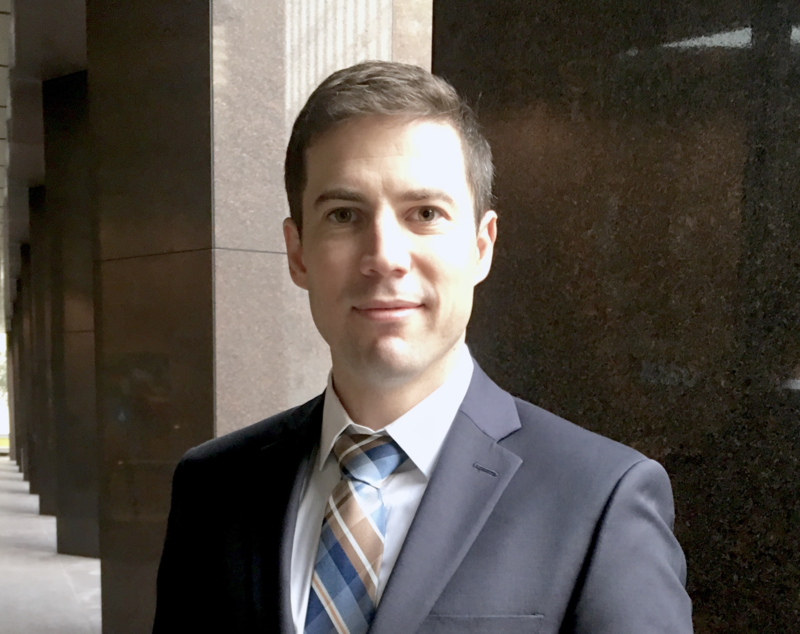 Division Five affirmed the ruling, but determined that the correct standard was whether a local ordinance places a “prohibitive price” on a landlord’s ability to exit the rental market. “Like provisions in past City-enacted ordinances which have been invalidated, the City’s Rental Payment Differential obligation places conditions on a landlord’s right to go out of business that are not found in the Ellis Act. The Ellis Act contains no requirement that obliges a landlord to pay their former tenants future rental subsidies so that they can leave the residential rental business.” Division Five agreed with its colleagues in Division Three, which recently applied the “prohibitive price” standard to invalidate San Francisco’s prohibition on the merger of rental units for 10 years after an owner has invoked the Ellis Act. Division Three of the First District Court of Appeal affirmed the San Francisco Superior Court’s determination that San Francisco may not deny applications to merge dwelling units, under Planning Code section 317(e)(4), by property owners who have invoked the Ellis Act. In San Francisco Apartment Association v. City and County of San Francisco, the SFAA challenged San Francisco Ordinance 287-13, which regulated the merger (i.e., joining) of two existing dwelling units, and which specifically prohibited approval for such merger when there had been a non-fault eviction within the ten years prior to the application (or an owner/relative move-in eviction within five years). Courts have traditionally viewed substantive eviction controls as the purview of local governments, while viewing state law (e.g., the unlawful detainer statutes) as occupying the field of procedural rules for evictions. This ruling illustrates the Ellis Act as an exception. Division Three noted that, “the issue is whether the Ordinance enters into the field of ‘substantive eviction controls over landlords’ that has been reserved for the State”, essentially scrutinizing the impact of local laws imposing a penalty on the exercise of this particular type of eviction. In other words, cities can otherwise enumerate the allowable bases to terminate residential tenancies, but they must include the Ellis Act and they may not discriminate against it. This decision potentially opens the door to challenges to a variety of Ellis Act “penalties”, including the recent “Accessory Dwelling Unit” ordinance, which allows property owners to create dwelling units out of unused space in existing properties… unless they’ve invoked the Ellis Act within the last ten years. Multiple owners of a multi-unit, tenant-occupied building will sometimes invoke the Ellis Act in order to terminate tenancies so that each owner can live in a particular unit in the building. While each owner would own a percentage of the entire parcel/building, each will enter a contract (known as a “TIC” or “tenancy-in-common” agreement), which will allow them to designate a specified unit to a particular owner. In 2001, San Francisco sought to prohibit this practice by adopting Ordinance 161-01, amending the Subdivision Code to eliminate “exclusive rights to occupancy” (i.e., designating that a particular owner was allowed to use a particular unit) and requiring that TIC agreements be recorded for purposes of enforcement/regulation. The logic of the amendment was that, if multiple owners cannot exclude other owners from their own units, the TIC rights would essentially be valueless, and maintaining buildings as rental units would be the preferred use. Then Mayor Willie Brown vetoed Ordinance 161-01, citing concerns as to its validity and wisdom, but the Board of Supervisors overrode his veto. TIC owners challenged Ordinance 161-01, alleging that it violated the Ellis Act, as well as their rights to privacy. 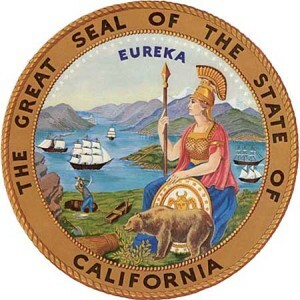 The First District Court of Appeals affirmed, in the published decision Tom v. City & County of San Francisco (2004) 120 Cal. App. 4th 674, finding a protected “autonomy privacy” interest in “choosing the persons with whom a person will reside, and in excluding others from one’s private residence”. Meanwhile, it found that the City’s choice to preclude homeowners from going out of the landlord business under the Ellis Act was not a sufficient countervailing interest justifying such an extreme privacy violation.